Sony has been rounding out their lens lineup in admirable fashion. They started with smaller, lighter, f/4 versions of the primary zoom trio, and now they've rolled out f/2.8 professional versions, all under the GM designation. As a generalization, the f/4 lenses are all compromised in some way, often corner rendering, but the two wider ones come in very small and light for full frame zooms of their range (the telephoto 70-200mm f/4 is about the same size and Canon and Nikon lenses). The f/2.8 GM lenses seem to be the opposite: optimized for rendering into the corners, but they come in big and heavy, in at least one case slightly bigger than competing lenses for the DSLR mounts. As usual with the high-end lenses we have a great deal of complexity in the optical formula: 16 elements in 13 groups. We've also got two extreme aspherical elements, three more regular aspherical elements, and two ED elements. Nano AR coating is also in this lens, and the front element is fluorine coated for dust and water resistance. Sony's engineers are doing a lot of lens ray manipulation in this design. Up front we've got 82mm filters, which gives you some indication of exactly how much glass is in this design, and why the lens weighs as much as it does (24 ounces, or 680g). Put this lens on one of the A6xxx bodies (APS-C crop sensor) and you have a 24-52.5mm equivalent lens. I'm sure Sony thinks that they've solved fast mid-range zoom for the E mount with this lens as a secondary task, but I judge this lens to just be too big and heavy for the A6xxx bodies: you end up with a very front heavy camera and a lens that dwarfs the body. The left side of the lens (holding the camera) has one function button appropriately positioned for the left hand, and one switch that can move the lens from AF to manual focus operation. The zoom ring is closest to the camera body and marked at 16, 20, 24, 28, and 35mm focal lengths. The full range is accomplished in a bit less than a quarter turn of the ring. Up front we have the usual fly-by-wire focus ring you find in the E/FE mount. No focus marketings or DOF markings. Close focus distance is just a shade under one foot (0.28m). Inside you’ll find an 11-blade aperture diaphragm, which on my sample was not quite “circular” as Sony claims. The lens is sealed for dust and moisture resistance, ala all the GM lenses. Price of the lens is US$2200, and no indication on the lens is made to as where it is made (there's a Sony Japan label, but no "made in..." label). Sony includes the ALC-SH149 lens hood with the lens. Not a lot to say, actually. The zoom ring is wide and easy to find and smooth on my sample. The focus ring is front of lens, as it should be, and fly-by-wire smooth. The lens grows a tiny bit when you zoom out to the wide end, but not enough to fuss over (and filters stay in proper orientation; no rotation). The lens is a bit on the heavy side, and particularly so compared to the f/4 version. The balance is still excellent with the slightly bigger and heavier A9 body, and still quite good on the A7 Mark II bodies. But body and lens coupled together is a pretty dense package of mass. This is not a combination I'd want to hang from my neck all day. Focus: As you’d expect with a wide angle zoom, focus performance is very fast, and often you won’t even see the focus move due to the wide depth of field. Sharpness: For a fast wide angle zoom, things are pretty darned good at the wide angle end. At 16mm the center is at or near excellent wide open, and there's not a terrible drop into the corners as you see with many similar lenses, including Sony’s f/4 lens. At 16mm there's a really broad band of sharpness across the frame that doesn't tend to deflate until you're well past halfway to the corner. At the other end (35mm) things aren't so great, reminding me a lot of my old Nikkor 17-35mm f/2.8: we've lost some sharpness in the center, and the sharpness falloff into the corners is more significant and clearly visible. I’d say that the lens starts at very good in the center at 35mm and falls to fair-good in the extreme corners. In between (24mm), the lens performs much more consistently and better than the 35mm focal length: I’d call that excellent. I'll note that the best focal lengths, all things considered, are in the 16-24mm range, though. There's also some field curvature in this lens wide open that you need to take into account. This tends to dissipate as you stop down to f/8. By the way, be wary of tests that rely highly on test charts with this lens. What happens is this: because the size of someone's test chart is limited, they tend to shoot it at very close focus distance at 16mm. Heck, even at 35mm. This lens is indeed weaker at its closest focus distance, as are many non-macro lenses. When I do wide angle lens testing via charts, I actually use a big outside wall with multiple charts (or a single chart moved into different positions), which puts my "lab testing" more in line with the way you'd actually use the lens. Linear Distortion: Barrel distortion is more than 3% with a slight mustache tendency at 16mm. Slight pincushion (about 1%) with more regular pattern at 35mm. Both are easily corrected. The crossover point with virtually no linear distortion is right around 24mm. Chromatic Aberration: lateral chromatic aberration is well controlled and what little does appear is easily removed in post processing. This type of CA is worst at 16mm, but still quite good. By 22mm or so the lateral CA is ignorable. Longitudinal chromatic aberration is clearly present at f/2.8 and difficult to correct, but goes away quickly at higher aperture settings. 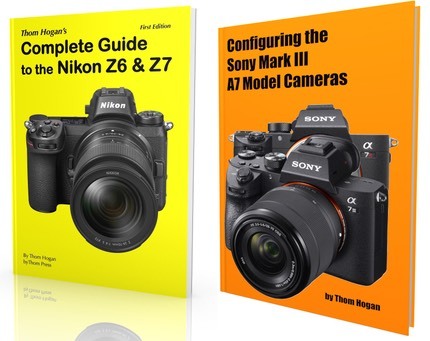 Vignetting: as is becoming obvious with the Sony lens lineup, if Sony is opting to solve one problem over another, it's vignetting that's getting the short shrift. There's a very high degree of shading in the corners wide open, more than three stops uncorrected at 16mm. But vignetting remains visible and needs correction even at f/8. Even at f/4 and f/5.6 the vignetting is more than a stop. At 24mm and up, the vignetting is still significant wide open, but at least you'll get down into the mostly ignorable range by closing the aperture down a stop or two. Flare is well controlled for a wide angle zoom. It's possible to trigger small patches of green flare with really intense light sources in frame, and even a rainbow type if you push that source far into the corners, but in general, flare isn't something you want to be worried about with this lens. Bokeh: While others have been in high praise about Sony's bokeh, and Sony themselves keep on touting it, I just don't think this lens—or most of the other Sony lenses—really nails the transition from focus plane to out-of-focus well. This is a very difficult thing to describe, as we're talking about how a transition works. Wide open, the longitudinal chromatic aberration puts slightly colored edges on out-of-focus background highlights, a common bokeh issue. But to me that's not really much of a problem. I just see the transition to out-of-focus being a bit "busier" and less appealing than some of the better lenses I use (some recent Nikkors have been astonishingly good at having a gentle fade to out-of-focus). Overall I'd call the bokeh of this lens good. There's really no serious flaw present. But high praise, no, I can't go there. Overall, this is one of the best-performing wide angle zooms for FE in the Sony lineup, if not the best. If you're considering this lens against the 16-35mm f/4, it's pretty clear: the two are similar in the center at 16mm wide open and maybe even across the frame at 24mm and 35mm at smaller apertures (though there is some astigmatism in the f/4 version). It's the difference outside the central area at 16mm and wide open that truly separates these lenses. And, of course, the extra stop of light. Stopping the f/2.8GM down to f/4 amplifies the improvement over the f/4 lens at 16mm also shot at f/4, and that continues across the board at other focal lengths. Both lenses do better a stop to two stops down from maximum aperture, so consider that in your equation. But at list price, there's a US$800 difference between the two lenses, and there's just no denying that the f/4 version is smaller and lighter than the f/2.8 GM version. My advice would perhaps be to buy the f/4 version for its convenience in traveling, and supplement it's wide end with a prime if you really need great corners. You buy the f/2.8 GM version because you really truly need f/2.8 across the focal range, I think. At least that's been my choice so far, and this test didn't change my opinion on that. One final note. The 12-24mm f/4G may be the lens you’re looking for if you’re into wide angle landscape shooting. But be aware, the 12-24mm doesn’t take filters and has some limitations in the corners, which may influence your decision.